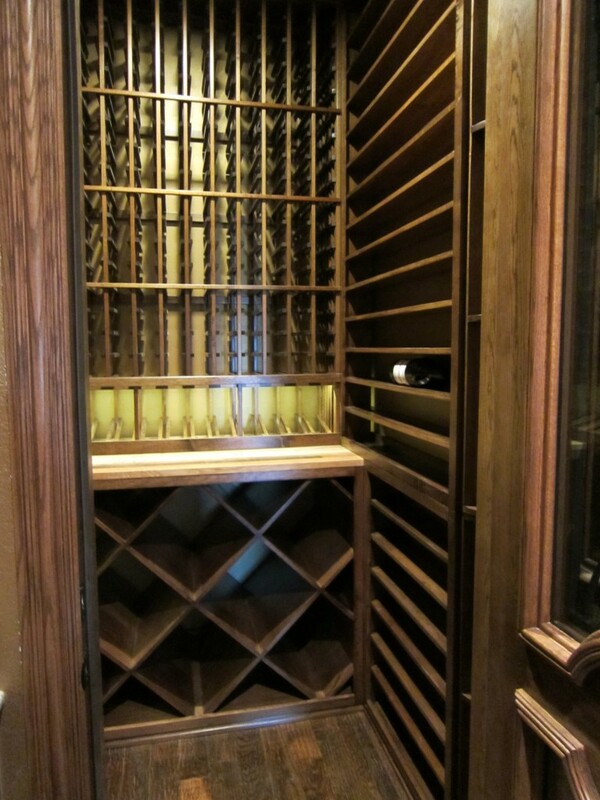 Common in many homes that I see today is that the builders installed what they call a wine room. The problem is that this room is not a climate controlled wine cellar and was not built to be climate controlled. 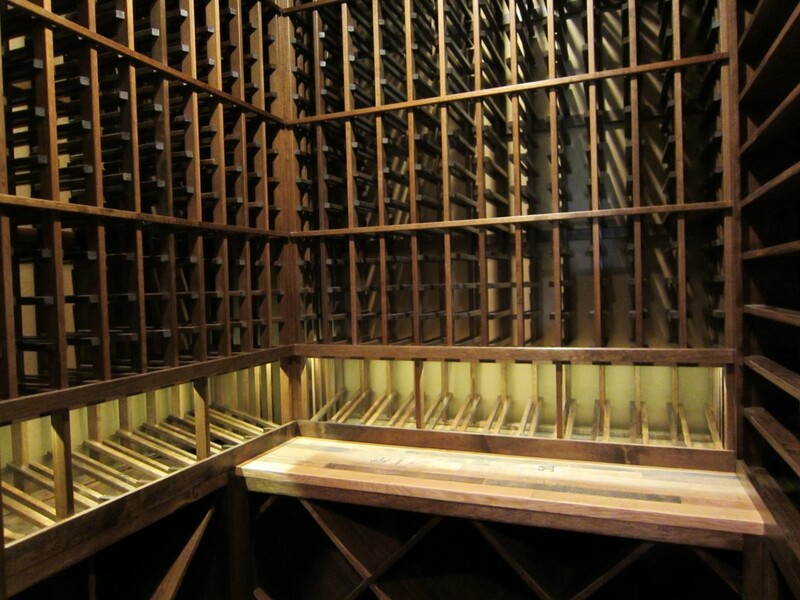 If the home owner wants to store their wine long term, the only thing that can be done is to start over. The room I’m about to show you started out this way. It is approximately 5ft x 5ft and has about 10-foot ceiling height. The before photos are not the greatest, but they do show what we have to begin with. The wine racks are all diamond bins on top with cabinets below. There was an iron gate for a door. The cabinets below were really wasted storage space because they are not meant for wine storage. Above the wine racks was more wasted space – a large molding and racks that did not go to ceiling height and more cabinets on the back wall below. Here you can see all of that wasted space above, and more wasted space for wine racks could go on the right wall. A regular lighted sconce is centered on the right wall. Now for the finished product, a climate controlled wine cellar where you see a beautiful Coto Wine Cellar Door. 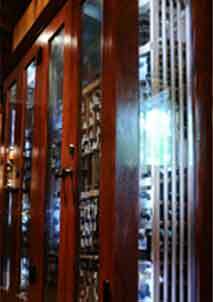 This is an insulated wine cellar door with dual-paned glass and operable wrought iron. We manufactured this door in oak and did a custom stain to match their existing cabinets. 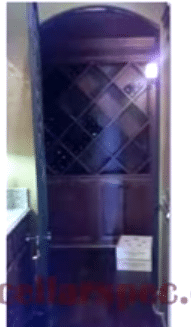 The wine cellar door also includes an automatic door bottom that drops down and seals the door below when the door is closed. 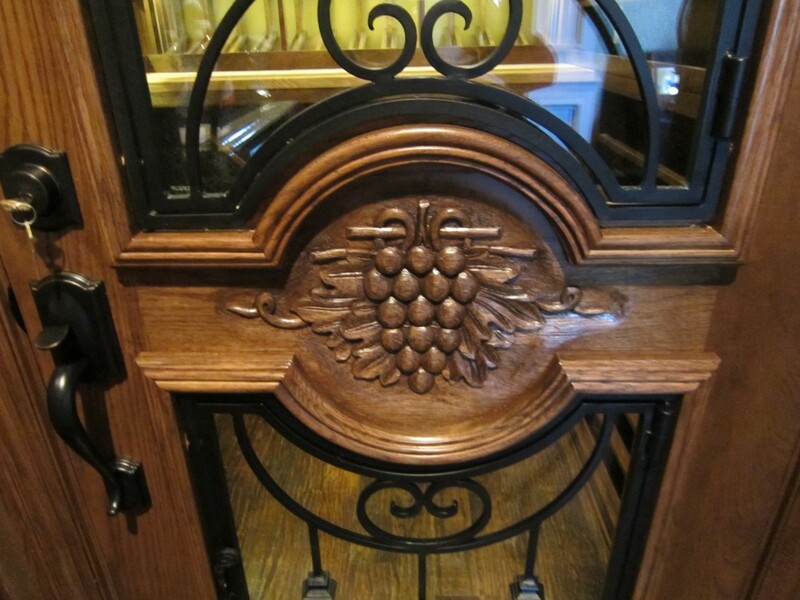 Here is the close up of the hand-carved grapevine design by one of our third generation wood carvers. The interior of the climate controlled wine cellar includes a 6-inch solid horizontal display rack on the entire right wall. The back wall has double deep diamond bins below with the reclaimed wine barrel tabletop. 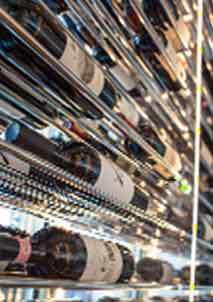 Above that is a high reveal display row with LED lighting and individual 750 bottle wine racks above. All the wine racks are done in Mahogany with Early American stain and lacquer to give it a furniture finish. Here you can see that the wine barrel tabletop covers the entire double deep diamond bin below. 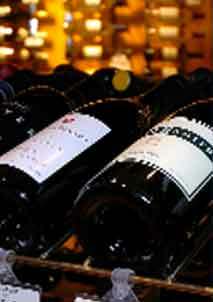 Even a magnum bottle will fit into the solid horizontal racks. A high reveal display row continues from the back wall to the left wall. 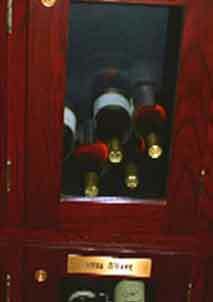 The LED lighting above is hidden in a light valance that is built into the wine racks. Here is a close up of one of the cooperage in the cooperage wine barrel tabletop. This tabletop is made from the tops and bottoms of wine barrels. Here is another of the cooperage stamps on the left side of the tabletop. The upper left wall is where we incorporate the wood grill cover and box to match the racks and hide the evaporator coil for the RM 2600 ductless split system. Below on the left wall is a solid, single deep X-bin. 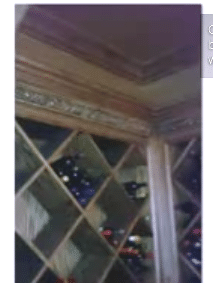 This wine cellars Dallas Texas renovation from a 200-bottle wine storage room to a 798 bottle climate controlled wine cellar was truly a success. Hope you’ve enjoyed seeing this transformation, complete build out and products by Wine Cellar Specialists. Check out more wine cellars Dallas Texas projects we completed at this page – http://www.winecellarspec.com/category/custom-wine-cellars-dallas-tx/.